Here are our top picks for the best home theater systems that deliver exceptional sound quality and the best value for the money. These home theater systems are capable of delivering crystal clear sound with crisp highs, detailed midrange and a stunning amount of bass. These systems are capable of delivering full-range surround sound effects with deep bass response, and can make your movies come to live. Be sure to check out our top picks for 2019 below! Cinematic surround sound: These systems are perfect for watching movies or listening to music soundtracks and provide an incredible surround sound listening experience at home. Design: We were very impressed by the cineamtic sound performance and aesthetic design of these speakers – they blend into most modern home décor and will literally convert your room into a cinema without being too obtrusive. Value: We choose home theater systems that provide great value for money without exceeding your budget – so you can get the most value out of these home theater systems. The Yamaha NS-SP1800BL is one of the best home theater systems you can buy with a full 5.1 channel surround sound setup. It features 4 2-way satellite speakers with a 2.5” woofer and ½” tweeter, one 2-way center speaker with dual 2.5” woofers and ½” twetter, and a 8” 100W cube high powered subwoofer which can be hanged on a wall. The speakers are all magnetically shielded and use a spring clip to connect to a surround sound amplifier (do note that the NS-SP1800BL is a standalone system and does not come with a surround sound amplifier which should be purchased separately). The Yamaha 5.1 channel sound system is able to produce authentic sound quality with its advanced Yamaha Active Servo technology which reduces impedance to ensure the best levels of sound pressure and performance. The speakers have a very wide-range frequency response from 28Hz to 50kHz and the satellite speakers are also wall mountable which is perfect for a home theater setup. If you are looking for one of the best home theater systems that is now available at a very good price, the Yamaha NS-SP1800BLs are the ones to get. The sound performance of the Yamaha NS-SP1800BL is surprisingly good, delivering full, rich and life-like sound with crisp highs and detailed midrange. Each satellite speaker on this home theater setup comes with a 0.5” tweeter and a 2.5” woofer driver which delivers a wide frequency response and vibrant sound effects. Vocal performances on this system sounded crisp and lifelike, with very good sound separation and detail – listening to the NS-SP1800BLs felt as though we were sitting in a live concert hall. Playing rock music and hip-hop through the NS-SP1800BLs sounded clear, crisp and punchy with an impactful low-end response. The powered subwoofer that came with entire 5.1 setup sounded extraordinarily good with deep thundering low-end bass – the sound will make your entire room vibrate and can sound even better than an actual movie theater. The 8” powered subwoofer has a 100W power rating and produces deep controlled bass output which sounds excellent for any home theater system. The center speaker that comes with the 5.1 setup is very crisp and produces extremely clear stereo sound which makes a real difference to the entire setup. The speakers can get very loud without any distortion and pump out clean, crystal clear sound on a consistent basis. Watching movies on the Yamaha NS-SP1800BL was literally pure bliss with surround sound that feels omnipresent throughout the entire room. We were truly impressed with the overall sound quality, crisp trebles, detailed midrange and sound separation that the NS-SP1800BL had to offer. The Yamaha NS-SP1800BL is very easy to setup and everything that you need is included in the box. That being said, you will need a separate sound amplifier and audio receiver to power the 5.1 channel speakers – we would recommend the Denon S510BTs if you need a decent audio receiver. The entire package comes with speaker wires so you can easily swap out your old home theater speakers for the Yamahas if you already have a home theater receiver setup. We found that the NS-SP1800BL speakers are great for small or large rooms, and you can mount the speakers to the walls using a simple wall bracket or wall insert. The subwoofer that comes with the entire setup is also wall mountable. The speakers also feature a removable grill cloth which effectively keeps dust out from the speaker and can be cleaned easily. Furthermore, all the speakers in the NS-SP1800 system are magnetically shielded which prevents any static or electrical interference you might get from the wires. The Yamaha NS-SP1800BL is hands down one of the best home theater systems you can buy that really delivers incredible home theater sound. It delivers sound performance on par with high-end home theater setups, and can instantly transform your living space into a home theater with a cinematic surround sound experience. The sound quality on the NS-SP1800BL is phenomenally good, with crisp highs, detailed midrange and a stunning level of bass. Vocal performances sounded almost life-like with great music separation, and we felt as though we were transported into a live concert hall. The deep low end rumble that comes from the powered 100W subwoofer can literally shake your entire room and deliver incredibly punchy deep low-end bass response. The NS-SP1800BLs are also very easy to setup and also comes with speaker wires for you to hook everything up straight out of the box. It’s one of the very best home theater systems you can find today that delivers exceptional value for what you pay for. 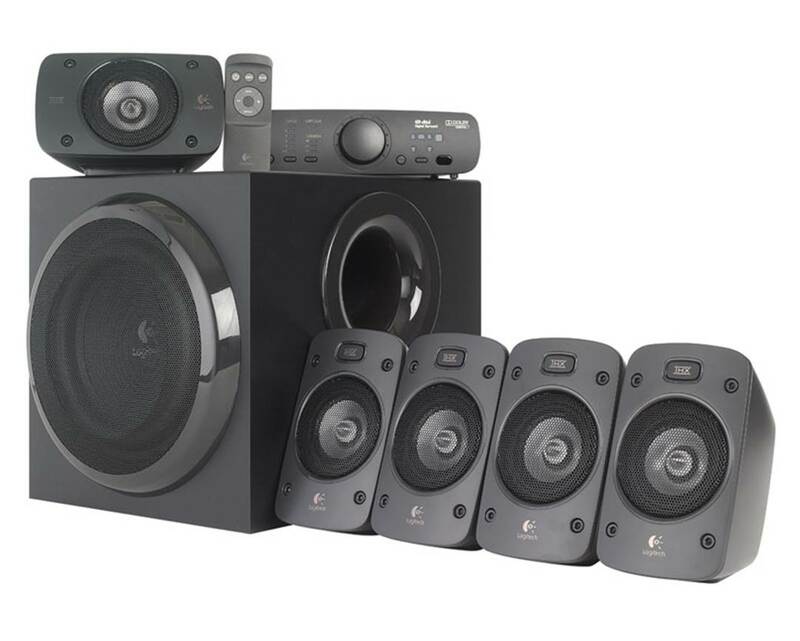 The Logitech Z906 is one of the best home theater systems you can find in a 5.1 channel surround sound system. The speakers are all THX-certified theater speakers which delivers true cinema quality sound. It also features 5.1 Dolby Digital and DTS encoding to accurately recreate the best surround sound mix for your Blu-ray and DVD movies. The entire system delivers a continuous 500 watts of power with the ability to go up to a peak of 1,000 watts. The surround sound speakers are able to deliver thunderous, room shaking sound with deep bass that will literally shake your room. It is also very easy to setup and allows you to connect multiple devices to the entire system; it comes with a compact control console and wireless remote for you to configure your listening experience. If you are looking for one of the best home theater systems that deliver superb sound performance and is relatively inexpensive, the Logitech Z906s are the way to go. The Z906 system consists of five satellite speakers including the center speaker, a powered subwoofer, control console, wireless remote, a 6 feet six-channel direct cable and user instructions. They are compatible with TV and surround sound setups for DVD or Blu-Ray devices, as well as for PC gaming. The sound performance of the Z906s is really good and easily fills up your room with rich surround sound. The speakers deliver crisp highs and incredibly deep bass responses which can make your room shake – watching movies using the Z906 system was a tremendously fun and enjoyable experience. The Z906 has a slightly warmer sound signature and is more suited for bass heavy music genres, but are also capable of producing detailed midrange without sounding muddy at all. Vocal performances on the Z906 sounded almost life-like with extremely good soundstage and music separation – you can practically hear details in the music which you never thought existed in your music before. We were very impressed with the sound quality and crisp vocals from the Z906. The great thing about the Z906 speakers is that they have a really flexible setup – you can connect them to your PC, TV, game consoles (including Xbox one/PS4) and they will work equally well. Watching movies with the Z906s felt really engaging, with powerful sounds that feel detailed and life-like. The powered subwoofer is able to deliver excellent bass response which feels tight and punchy – you can hear a grenade explosion rattle through your entire room with a level of detail and precision like you have never heard. We also liked the fact that the Z906 comes with a nice remote which you can use to adjust and configure the speaker settings, which means that you don’t have to manually adjust each speaker to get the right sound quality. The powered subwoofer is rated at 165 watts and delivers a deep low-end response that feels punchy but does not overpower the music, unless of course, the bass settings is turned up to maximum. The key thing to getting the best sound performance with the Z906s is to get the ideal speaker positioning for the satellite speaker and subwoofer. Ideally the speakers should be placed at around ear level with the bass box close to a corner of the room with a distance from the wall about five to six inches. Placing the subwoofer in this way will enhance the bass response and impact throughout the room. The satellite speakers are compact enough for you to place them on a shelf or a wall mount; you can then customize the speaker settings using the remote once it is fully set up in the room. The Logitech Z906s are some of the best home theater systems you can get that are definitely highly value for money with superb sound. All of the surround sound speakers are THX certified which means that the speakers have met strict performance standards to produce cinematic sound experience. We would the sound performance of the Z906s truly outstanding – they deliver a stunning level of detail and precision in the midrange, and have a deep and punchy low end which can get loud enough to shake your room. Watching movies or playing games with the Z906s was a thoroughly immersive and fun listening experience, and felt almost life-like. 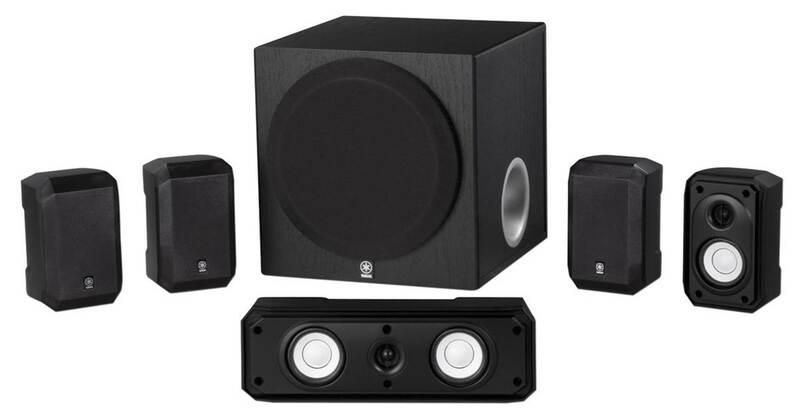 If you are looking for one of the best home theater systems that will deliver an incredible level of sound quality at minimal cost, the Z906s are definitely the surround sound speakers to get. The Energy Take Classic 5.1 is one of the best home theater systems you can get with incredible sound performance and a stunning solid construction. The entire system comes with 4 gloss black 2-way Energy satellite speakers, 1 gloss black Energy center channel speaker and a 200 watt Energy subwoofer with a front firing port and 8” driver. The surround sound system is perfect for those who need a home entertainment system in both large and small spaces. The satellite speakers are also wall mountable, which makes them ideal if you intend set them up on your wall for better sound positioning. The speakers all feature superior MDF cabinets finished in sophisticated high-gloss black which give the speakers a really sleek and modern appearance. It also comes with a newly added convergent source module with its 3” poly-titanium woofer and 0.75” hyperbolic aluminium-dome tweeter. This provides the speakers with a dynamic frequency range and an expansive soundstage, allowing them to deliver realistic and natural sound from each satellite speaker as well as from the center channel. On the whole, the Energy 5.1 is one of the best home theater systems you can get that is highly value for money. The sound performance of the Energy 5.1 sound system is amazing – the small front and back satellite speakers are identical so that you know the sound coming from the rear will be of equal quality as the sound from the front. The center speaker features the same driver array as the satellite speakers and has two forward facing ports, which allows for more dynamic range where most of the dialog and movie sounds will come from. The Energy satellites are capable of producing very crisp and clear stereo sound, with detailed midrange and clean vocals. The sound signature of the speakers is geared more towards the bright side, so you can better and sharper trebles. We found that the two Energy surround satellites have much more of a rear presence – you will hear music sound effects from your movies that you would have not heard before. You can effective re-watch all your favorite movies and soundtracks with the Energy 5.1 system and re-discover the parts of the music where you never thought existed. The powered subwoofer in the Energy 5.1 setup is of course the main speaker that produces most of the bass response. It comes with an eight inch down firing speaker that can produce such a powerful, low-end thump that it will literally rock the entire house. The subwoofer looks relatively smaller in size but don’t let the size fool you – it can produce incredibly satisfying, deep tones with full blown low-end bass that will make a grenade explosion sound nearly life-like. The subwoofer alone is rated at 200 watts and features ribbed elliptical surround technology which increases excursion, eliminates distortion and raises the efficiency on the subwoofer – the end result is that the subwoofer is able to move an incredible amount of air and play much lower frequencies with greater bass extension. The bass can go so deep that it will cover a large floor area easily – you really do get the best cinematic experience with the Energy Take Classic 5.1 setup and the tremendously powerful subwoofer. The surround speakers are designed to blend into your modern home décor with its stunning glossy finish. You can also choose to wall-mount these speakers and use rubber bumpers to place your speaker on the bookshelf or on the table without any vibration. The speakers do not distort even at maximum volumes and have a wide and constant dispersion throughout the room to make it sound as natural as possible. The frequency response on the satellite speakers is 115Hz to 20KHz, the center speaker at 110Hz to 20KHz, and the subwoofer from 33Hz to 150Hz. The satellite speakers each weigh 2.9 lbs, the center 3.2 lbs and the subwoofer 19.7 lbs. The entire package comes with the 5.1 satellite speakers, the center channel speaker and powered subwoofer, together with a detailed instruction manual. We would recommend placing the subwoofer around the corner of your room with a distance of about five to six inches from the wall to get the best bass response. The Energy Take Class 5.1 is one of the best home theater systems you can buy that delivers incredible sound. It works best when coupled with an AV receiver to push the speakers and the subwoofer with good cable wires. The sound performance on the Energy Take Classic 5.1 is simply stunning and we never heard music that sounded so crisp, dynamic and detailed with a stunning level of bass response. If you ever re-watch movies or listen to your soundtracks on this surround sound system you will actually hear details in the music which you never realised where there before. This makes having the Energy Take Class in the home a more satisfying and enjoyable experience, and is definitely one of the best home theater systems you can find. It is a great investment for those who need to setup a home theater system from scratch at an affordable price. The Klipsch HD 300 is undoubtedly one of the best home theater systems you can find at a budget price and is great for cinematic surround sound. It features four high gloss black speakers with a 2.5” heavy-duty IMG woofer and micro-Tractrix horn-loaded .5” textile tweeter, and a center chanel speaker for clear dialog and special cinematic effects via the 2.5” IMG woofer. The speakers feature a unique Klipsch horn-loaded Micro-Tractrix design which produces more lifelike sound and greater volume output – this allows the speakers to produce enhanced sound at higher efficiency with less distortion near maximum volume. The subwoofer comes with a heavy-duty 6.5” driver and 80 watts RMS amplifier with the rest of the system, which means that you do not need a separate amplifier to power this system. It also comes with integrated wall brackets which rotate 40 degrees with a ¼” threaded insert for with floor stands (the floor stands are not included). If you are looking for one of the best home theater systems at a budget price point, the Klipsch HD 300 come highly recommended. The two front and two rear speakers that come with the system are approximately 3.5” in width, 4” in depth and 5.25” in height which make them suitable to be placed on top of a small table or bookshelf. The center speaker is approximately 7.5” width, 4” depth and 5.25” height and the subwoofer is approximately 10” width, 14.5” depth and 13” height. The wall mounts that come included with the speakers will more than adequately hold them in place if you choose to mount them on the wall. If you choose to mount it on the wall, do take note of the wire length which is approximately 8 feet along. The sound performance of the Klipsch HD 300 is nothing like we expected. The surround sound speakers are able to produce clear and crisp tones with a great frequency range, making them suitable for a large variety of music genres. The subwoofer does pump out very low-end bass that sounds impactful and punchy and never muddy. When watching movies, the Klipsch HD 300s were able to produce rich, full-bodied sound with special effects that felt almost life-like and unreal. They are also capable of producing detailed midrange which we thoroughly enjoyed listening to. The HD300s are capable of going extremely loud enough to disturb your neighbors (we do not recommend turning the volume to maximum), and the volume does not distort or sound colored at near maximum volume. If you are looking for a surround sound system that will deliver cinematic sound at a budget price, you really cannot go wrong with the Klipsch HD 300s. We also liked the design of the Klipsch speakers and the nicely finished gloss black color which gave it a very sleek and modern appearance. The satellite speakers will easily blend into modern home décor and enhance the aesthetic appeal of your TV home theater setup. For the best bass response, we would recommend placing the subwoofer near the corner of your room with a little space of just about 5 to 6 inches from the wall. This will improve bass resonance and help to achieve the cinematic effects to a greater level of detail. The speakers have no issues with delivery crystal clear sound; we would also recommend using high quality music cables for this purpose to achieve distortion free sound. The Klipsch HD 300s are one of the best home theater systems available today at a budget price and delivers sound performance on point. The speakers are capable of producing surround sound with deep punchy bass, and detailed midrange which makes watching movies or TV quite an enjoyable experience. We also liked the fact that this system came with integrated wall brackets for you to securely mount the speakers to your wall. We would also recommend positioning the speakers to its optimal position while listening to these speakers and adjust them according to your room shape and size. Ideally, the subwoofer should be placed in a corner of your room to get the best bass response. The HD 300s are also very well designed and constructed with a nice gloss black finish which make them look very sleek. If you are in the market for one of the best home theater systems you can find at a budget, the Klipsch HD 300s are definitely the ones to get. The VIZIO SB3851s are some of the best home theater systems you can find for TV and supports wireless music streaming. It is a complete 5.1 channel surround sound system that includes a 38” sound bar with left, right and center channels, as well as two rear satellite speakers to get the surround sound effect. The powered subwoofer has a wireless connection to the soundbar while the satellite speakers are wired to the subwoofer. The surround sound speakers are capable of producing an incredible 100 dB of room filling crystal clear sound with less than 1% total overall distortion. It also supports built-in Bluetooth connection which allows you to stream music from your wireless music sources. The VIZIO comes with premium Dolby Digital and DTS Digital Surround decoding which provides high quality sound audio processing for the best performance. The satellite speakers are also small enough for you to mount them on the walls using a wall bracket. On the whole, the VIZIO SB3851s are some of the best home theater systems for TV and wireless music streaming. The sound bar on the VIZIO is paired to the wireless subwoofer which reduces the amount of wiring that you need to use to set up the system – they combine to bring crystal clear booming sound to your home environment. The wireless subwoofer is connected to the rear satellite speakers which you can position around you to create rear sounding channels for an immersive listening experience. It also connects easily to your TV receiver and the sound bar works very well with the left, center and right channels pre-built inside the sound bar. The setup on the VIZIO is extremely intuitive and easy – connecting the VIZIO to the TV and placing the sound bar and subwoofer took a couple of minutes with the wireless pairing. The sound performance of the VIZIO is very good and provides great sound for watching TV with the sound bar placed right on the front. The sound feels clear with impactful bass that goes really deep; the subwoofer feels extremely powerful and will easily fill up a large room when deep low-end frequency response. The sound bar is able to produce very detailed stereo sound – you can actually hear details in the music that you might not have heard before, such as background conversations and the sound of debris flying all over after an explosion. Listening to music on the VIZIO was also quite a good experience and vocal performances sounded really crisp and clear, with very good music separation that distinguishes between subtle notes in the music. The subwoofer provides exceptionally good bass and can really make your entire room shake with an immersive low-end sonic boom. If you are looking for the best home theater system to watch TV and movies, the VIZIO is a really good choice. The entire system comes with detailed instructions on how to set up the surround sound speakers and pair the subwoofer to the sound bar. Because the sound bar and the subwoofer connect wirelessly to a TV or Bluetooth source, the only wires that are required are for the satellite speakers. It also comes with a very convenient remote control which you can use to configure the volume controls and adjust the bass and treble outputs. The speakers have a very sleek and modern looking aesthetic appeal and blends in easily into your TV area. The sound bar and the rear speakers are of very compact size and the rear speakers can be easily mounted on a wall. The speakers also come with optical, coax and RCA cables which are included with the home theater system for easy setup. The VIZIO SB3851s are definitely some of the best home theater systems you can find for your TV and supports wireless streaming via Bluetooth. They are extremely easy and convenient to set up, and come with practically everything that you need to get the surround sound speakers running. We would also recommend getting a receiver to connect these surround speakers to your TV or wireless music source. The sound performance of the VIZIO system is top-notch, with crisp vocals, deep stunning bass and detailed sound that flow naturally from the sound bar to the rear speakers. 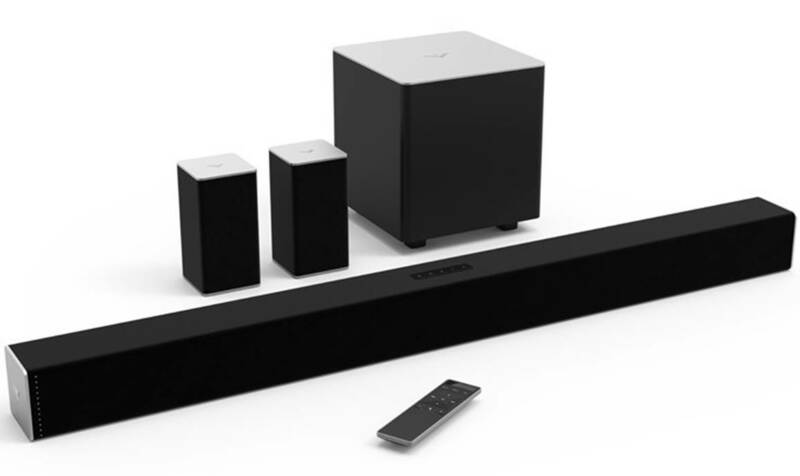 The sound bar looks very sleek and modern and easy to setup, and pairs wirelessly to the subwoofer. It also comes with a nice remote control where you can adjust the bass and treble settings at a touch of a button. Overall, it is one of the best home theater systems you can find at a very good for TV and watching movies. 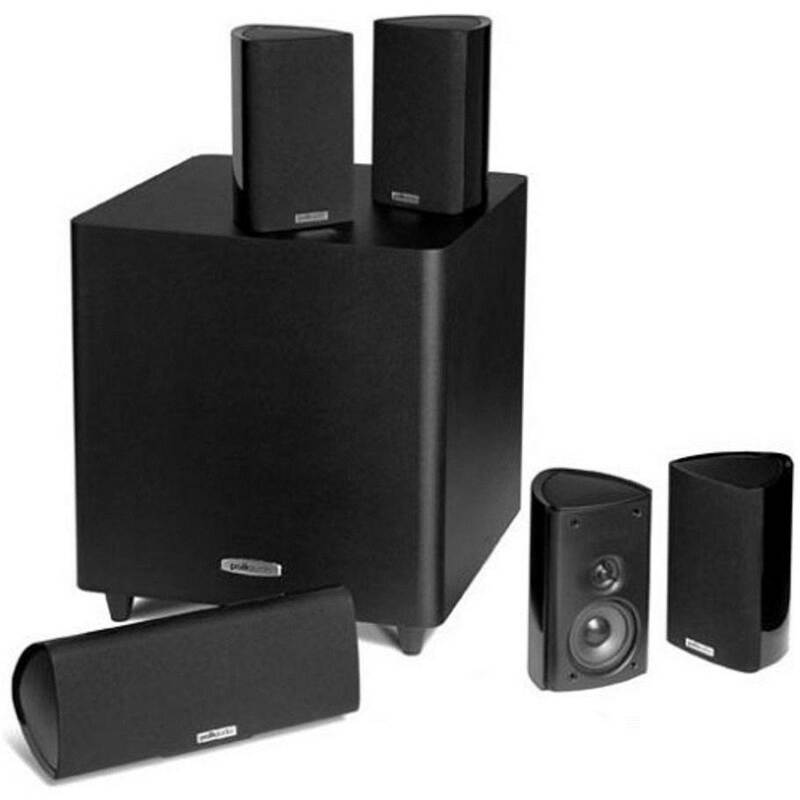 The Onkyo SKS-HT540 is one of the best home theater systems you can find with a fully equipped 7.1 channel speaker set. The surround sound speakers are capable of producing 130 watts total output with its 2-way bass reflex front, center and rear speakers. The front and center 2-way speakers each feature a 5-inch diaphragm woofer and a 1-inch balanced floating tweeter, with a bass reflex powered subwoofer with a massive 230 watts of output for deep booming bass. They come with original Onkyo Micro Fiber diaphragm technology and feature pure cotton cones for extremely fast and accurate sound response. The subwoofer construction also includes a 10-inch cone driver to produce massive sound output. Each of the eight included speakers has two wires that connect to the receiver at one end and to the speaker at the other end. The frequency response of the front and center speakers is 55 Hz to 50 kHz, while the surround speakers are 60 Hz to 20 kHz and the subwoofer from 25 Hz to 150 kHz. If you are looking for one of the best home theater systems that will deliver a truly immersive 7.1 channel listening experience, the Onkyo SKS-HT540s are the ones you should consider for your home theater. One of the biggest advantages of the Onkyo system is that it has fall front left and right speakers which produce crisp and detailed sound. You will need to connect the system to an audio receiver (we recommend the Onkyo TX-SR505 or Sony STR-DH750 receiver) to power the system. You can also connect the receiver to your TV, PS4 or PC to create a surround sound listening experience. The sound performance of the Onkyo speakers is highly impressive, with very good surround sound and powerful bass that reaches low and deep. The sound performance of the speakers feel very sharp and crisp, with a great level of detailed midrange and clear vocals. Listening to instrumental music on this system felt as though we were sitting in a live orchestra – you can really hear the cymbals and guitars with a great level of precision and music separation. The drum beats on the side can be heard with punch and impact and with great fidelity – it really does make your music come alive. Vocal performances sounded almost unreal and as if we were transported into a live concert hall. Having the 7.1 channel setup around you does really change the way you perceive your music and watch movies. The Onkyo system can be used for TV, Blue-ray, gaming and music from your iPad or iPod. They really shine when you put these speakers to the test with high intensity Blu-Ray movies and gaming. Watching a football game with these speakers felt as though we were sitting live at a stadium – you really get excellent sound quality with these speakers. We also liked the fact that the surround sound speakers are very well designed and come encased in wooden boxes. The center speaker is quite large and blends in easily into modern home décor. The 4 satellite speakers have hanging holes which make them wall mountable, and comes with color-coded wires for each speaker which felt really high quality. Setting up the entire sound system was relatively simple with the color-coded wires; the center speaker can be mounted on a clean surface plate for extra support. The speakers look very well constructed and designed, with a nice black matte finish. The sides of the center and the top of the front speakers have a nice shiny polish which makes them look aesthetically pleasing. The front pair of speakers is tall enough for them to be placed on the floor as floor standing speakers without any floor stands required. The Onkyo SKS-HT540 is one of the best home theater systems you can find that supports a full 7.1 channel arrangement. The sound quality of the SKS-HT540 is phenomenal when paired with a decent stereo receiver, and is perfect for listening to music or watching movies from the TV. The sound quality of these speakers is really incredible and they do deliver very strong bass response with crisp midrange and good trebles. The 7.1 setup is relatively simple and straightforward with color coded wires that come with the system. The surround sound that the Onkyo speakers were able to produce was very incredible, with a level of soundstage and music separation that we have only heard in higher end speakers. On the whole, the Onkyo represents good value for money and is one of the best home theater systems you can get with a full 7.1 channel setup. The Polk Audio RM 705 is one of the best home theater systems you can find for an entry-level 5.1 channel setup. It comes with four satellite speakers, one center channel speaker and one subwoofer. The speakers are designed to be heavy-duty, with non-resonant composite enclosures which feature an elegant high gloss finish. They also feature a unique Reuleaux Triangular Polygon cabinet design on the satellite speakers which minimise the visual impact on walls and shelves, and reduce resonance and standing waves inside the speakers. It also comes with accessories such as flexible wall brackets and a shalf cradle for the center channel. The 8-inch downward firing powered subwoofer delivers tight, punchy bass and is discrete enough to be hidden away in the corner of your room. If you are looking for one of the best home theater systems for entry-level use, the Polk Audio RM 705 is a cheaper option which delivers great value for money. The sound quality that you get with the Polk Audio RM 705 is of much better quality that what you get in a standard home theater in a box starter kit. You will also need an audio receiver to connect these surround speakers to your TV, PC or gaming console. The sound on the RM705 can get very loud and sound very clear and detailed, with good bass response from the powered subwoofer. We found that you will need to tweak the settings on the audio receiver in order to get the best sound performance out of these Polk speakers. The sound performance that comes out of the satellite speakers feels crisp and natural, and produce decent surround cinematic sound when watching movies. The center channel does the job well of delivering clear and well balanced dialogues – vocals sounded clean and natural and not colored. The 50-watt down firing subwoofer is capable of producing deep and clean low-end frequency bass. The subwoofer unit alone feels heavy and compact, but it does the job of producing tight and punchy bass really well when connected to a decent audio receiver. We recommend the Onkyo TX-SR505, Sony STR-DH750 or the Denon AVR-2310 receivers which can pair and go really well with this 5.1 surround sound setup. The entire home theater system comes with wall brackets and a screw which you can use to attach each speaker to the wall bracket. The satellite speakers can swivel when mounted which is a good thing if you need to readjust the speaker positioning. It also comes with a small plate which you can use to place the center channel speaker on. That being said, this system does not come with speaker wires which you have to get to connect the speakers to your receiver. The speaker terminals also have a clipped design which feels quite difficult to open and insert wires inside; it took about half an hour before we managed to get the entire system set up. The satellite speakers are compact and can be easily held in one hand, and have a very solid construction on the units which is great. On the whole, the RM 705 system is very affordable and great for anyone who wants to get started on a decent home theater setup for the first time. The Polk Audio RM705 is one of the very best home theater systems that are affordable and suitable for entry-level home theater. These speakers are great for those who want to start out using home theatre surround sound speakers for the first time, and come with good mounting options and wall brackets for you to get started. The sound performance on the Polk Audio RM 705 is very good, with crisp highs and low-frequency bass response – although we would say that the sound quality will vary depending on the quality of the audio receiver used. You will also need good quality speaker cables to pair this home theater system with your receiver. The sound performance on the Polk RM 705 was very good for an entry-level system, and watching movies or listening to music was a thoroughly enjoyable experience. It’s one of the best home theater systems you can find at entry level and we highly recommend them. The Monoprice Premium 5.1 is one of the best home theater systems you can find that has the perfect balance between sound quality, price and design. It has the perfect combination of sound, great looks and compact size at an affordable price. The 5.1 channel system includes four satellite speakers and single center speaker which boasts a 3” polypropylene mid-range driver and a ¾” aluminium dome tweeter. The compact size and lightweight design makes it easy to mount the satellite speakers to a wall using a universal ¼” threaded insert. The entire system comes with an 8” down-firing subwoofer which can be driven by a 200 watt audio amplifier for deep bass response. The speakers have spring-loaded terminals and stereo line and speaker level inputs for easy setup – simply connect the cables from your receiver to the speakers and you are all set to go. If you are looking for one of the best home theater systems that deliver the best balance between sound quality, compact design and price, the Monoprice Premium 5.1 speakers will not disappoint. Down to the specifics – the Monoprice home theater system features four satellite speakers that can each handle up to 100 watts of power and have an impedance of 8 ohms. The satellite and center speakers have an excellent frequency range from 110Hz to 20KHz, with the crossover between the mid-range and tweeter drivers set to 3.5KHz. This means that the surround sound speakers will be able to handle a wide variety to music genres with detailed midrange and clarity; very few home theater systems get the crossover design right to the level that the Monoprice system does. The powered subwoofer can handle frequencies from 30Hz to 150Hz and uses a variable crossover from 40 to 150Hz. In terms of dimensions, the satellite speakers measure about 6.9 x 4.3 x 4.3 inches and weigh around 2.9 lbs, while the center channel speaker measures 4.3 x 10.2 x 4.3 and weighs 3.0 lbs. Both the satellite and center speakers come equipped with a universal ¼ threated insert for easy mounting on the wall. The subwoofer is a 12.6” cube and weighs around 20 lbs, which makes it really tight and compact. The subwoofer also features four large rubber feet which keep the downward firing driver off the floor and prevents it from vibrating when producing deep bass. We found that these speakers sound better than many more expensive home theater systems in terms of frequency response and sound quality. While they certainly do not have the same build quality or aesthetic design as the more expensive speakers, these speakers do produce very high quality and crisp sound. When connected to a decent audio receiver, the subwoofer is able to go very low and produce a deep, punchy and tight bass response that brings life to the music. Listening to rock and hip-hop music on the Monoprice Premium 5.1 was actually quite a fun and enjoyable experience; it has quite colorful sound signature and the crossover designed provided good midrange that sounds clear and detailed. That being said, we do recommend a period of break in for the Monoprice speakers for the sound to mellow out – it will sound crisp and sharper after a period of break in, with nice vocal reproduction and a more pronounced soundstage. The rear surround satellite speakers sound very good and are subtle and clear – they are able to replicate the subtle notes in cinematic movies very well. You will be able to hear things at the rear while watching movies like never before – for example a door opening from behind will sound almost life-like and a little too realistic. They can also get really loud and easily fill up an entire room with earth-shattering sound if you decide to crank up the volume. The speakers feel durable and sturdy, and have a simple and minimalist design that can easily blend in with your home décor. Our overall assessment is that these speakers produce the most well balanced sound for the price; watching movies and listening to music on these speakers was a tremendously fun experience. The Monoprice Premium 5.1 is one of the best home theater systems you can find that has a great balance between price, sound quality and design. 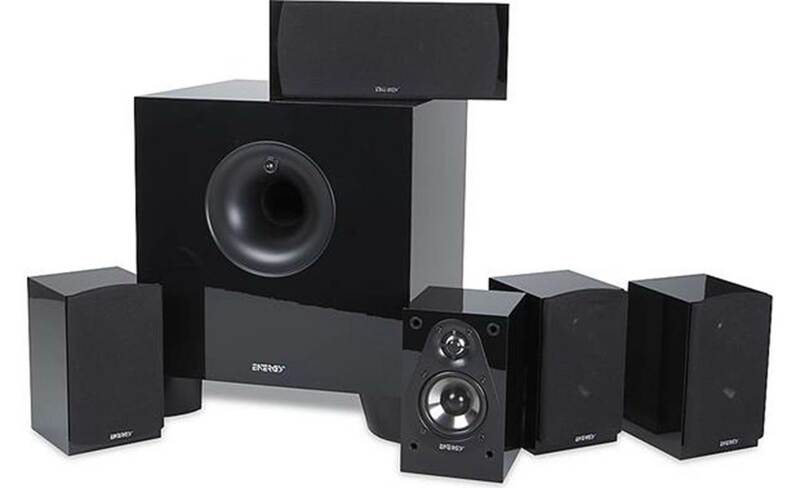 You will need to have a separate audio receiver and audio cables to set up this home theater system or connect it to your TV. The sound quality from the Monoprice Premium 5.1 was very good, with very detailed midrange, crisp highs and very good bass response. The speakers have a very wide frequency range which makes them suitable for a wide variety of music genres. They also provide a very good cinematic experience – watching movies with these speakers was a very immersive experience and the rear speakers were able to reproduce life-like details that we never noticed before. The satellite speakers also feature a wall mountable design which you can use to easily position the speakers around your room. It one of the best home theater systems that you can find that delivers quality and well balanced sound on point at a very affordable price. The Harman Kardon HKTS 30BQ is one of the best home theater systems you can find that delivers incredibly good soundstage and detailed cinematic sound. It is a complete 5.1 home theater system with four satellite speakers and a center channel speaker, with an 8 inch, 200 Watt powered subwoofer. Each satellite speaker features a two-way design with a ¾” inch soft dome tweeter which is able to reproduce frequencies with detailed accuracy and clarity. They also come with dual 3 ½” inch midrange drivers for distinct movie dialogue and vocal reproduction. The 8” subwoofer is powered by a 200-Watt amplifier and delivers deep, clean bass from a compact and small cabinet design, and the subwoofer output can be adjusted with phase switch, level control and bass boost options. The surround sound speakers are designed to be very high quality, with gold plated connections on the back of each speaker for a stable connection to your 5.1 channel receiver. They also come with included wall brackets which attach to the bottom on the satellite speakers and are rotatable for optimal speaker placement. The HKTS 30BQs are able to produce excellent soundstage and lifelike sound performance; if you are looking for one of the best home theater systems to listen to instrumental music and vocal performances, they will really deliver the sound quality that will do justice to your music. The sound performance of the Harman Kardon HKTS 30BQ was surprisingly good, and we could notice how much difference having dual midrange drivers in each satellite speaker made. The sound quality is by all standards excellent, with crisp highs, very detailed midrange and vocals, and excellent soundstage. Listening to instrumental music on this 5.1 system can really change the way you perceive sound, with an extraordinary level of sound separation and soundstage that felt almost unreal. You really feel that you are plunged into a concert hall with lifelike sound; every note and subtlety in the instrumental piece will be picked up by these speakers – you will probably notice details in the music which you have never picked up before. Watching movies using the Kardon HKTS 30BQ was a superb listening experience, with an incredible level of detail and stunning soundstage. Grenade explosions felt almost life-like, and you can really hear the sonic boom of the powered subwoofer that will literally shake your room. The Harman Kardon surround speakers are able to pick up virtually every single detail in the sound and magnify them so you will be able to hear them with crystal clarity. Although the powered subwoofer was not the most powerful that we have heard, it is certainly among the very best in terms of bass quality – the low-end response felt tight and punchy, which made listening to rock and pop music a very enjoyable experience. The speakers have a very sleek and modern design that will fit into most modern home décor. 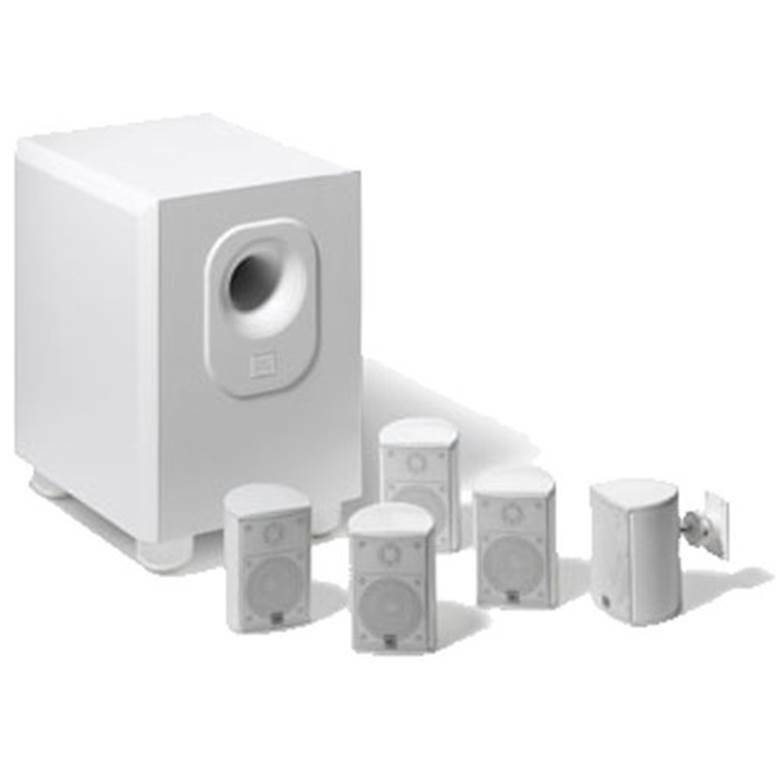 The entire home theater system comes with wall mount brackets for all five speakers with speaker wire included, although we would recommend getting high quality optical cables to connect the subwoofer to the receiver. You also have the option of purchasing black speaker stands (HTFS 3) for the HKTS 30BQ satellite speakers and mount them at ear height. On the whole, the HKTS 30BQ are reasonably easy to install and we took approximately an hour to get the entire system hooked up to the receiver and TV. 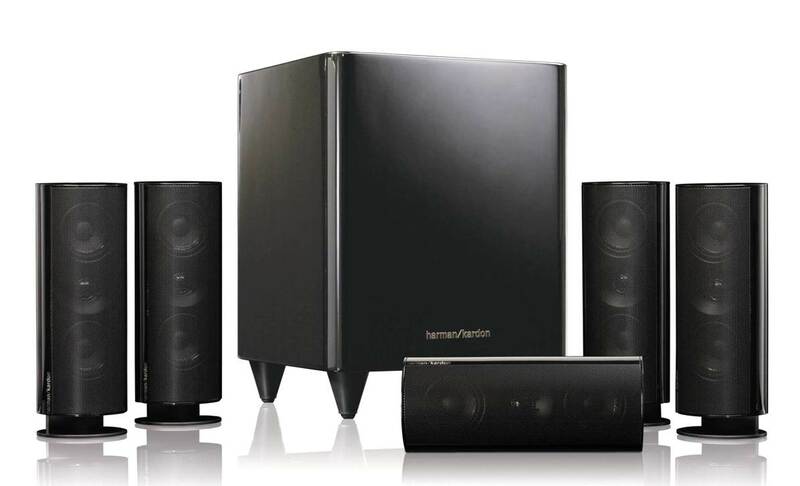 The Harmon Kardon HKTS 30BQ are some of the best home theater systems you can find that deliver incredible soundstage and sound quality. The satellite speakers contain dual midrange drivers which enhance the sound quality and produce a stunning level of detail and music separation when connected to a decent audio receiver. Music performances sounded crisp and lifelike, and almost as if we were sitting in a live concert hall. Watching movies on the HKTS 30BQ was a cinematic treat in itself; you really get detailed surround sound that feels deep and solid on all levels, and you can actually hear details in the cinematic scenes that you might not have noticed before. The speaker system also came with wall brackets and speaker wires for easy setup. 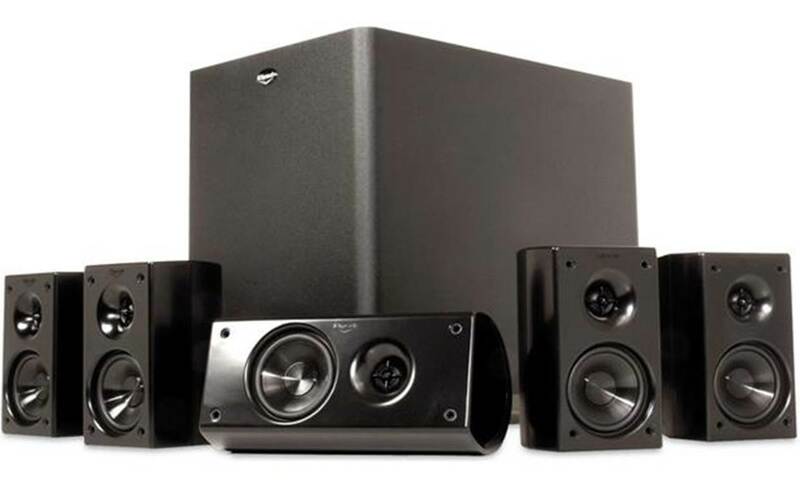 If you are looking for one of the best home theater systems that will deliver quality sound and phenomenal soundstage, the HKTS 30BQ are definitely the ones you should consider. 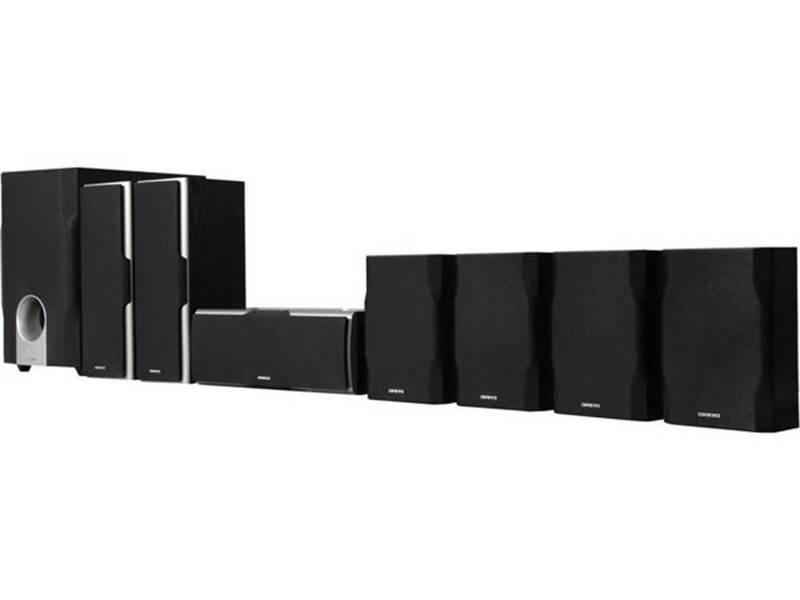 The Pioneer SP-PK22BS Andrew Jones 5.1 system is one of the best home theater systems you can find in the high end range, and delivers incredible sound quality, performance and spectrum clarity. The entire system comes with two pairs of SP-BS22 bookshelf speakers, a single SP-C22 center channel speaker and a SW-8MK2 subwoofer. The subwoofer has a superior crossover design for full spectrum clarity to blend the bass response with the midrange from the satellite speakers. The surround sound speakers feature all-metal connectors which provide a secure grip on the wiring; it is also compatible with banana plugs and pin connectors. The center channel is extremely well designed and can deliver a substantial amount of dialog in the front, which makes watching movies and listening to music very clear and well defined. Our impression of the SP-PK22BS is that these are very high fidelity speakers and can deliver phenomenal sound quality that stays true to how the artists intended the music to sound. If you are looking for a high-end home theater system, the Pionner SP-PK22BS are definitely the speakers you should look at. On the specifics of this home theater system – the satellite speakers come in RF molded curved cabinets to reduce internal standing waves, and feature a 4” structured surface woofer for improved bass response with a 1” high efficiency soft dome tweeter for high frequency sound reproduction. They also come with a nice crossover design which blends audio between the woofer and the tweeter for a much more natural sound. The powered subwoofer is designed with a 100 Watt internal amplifier for tight and punchy bass reproduction. It features an 8” long throw woofer which produces the low-end frequency response, with a range of 38 Hz to 150 Hz. The center speaker has two 4” structured surface woofers for improved bass response, and a 1” high efficiency soft dome tweeter for smooth high frequency reproduction at high volumes without any distortion. This makes the SP-PK22BS 5.1 system one of the best home theater systems to have with high end specs to deliver optimal sound. The high quality sound performance of the SP-PK22BS makes them ideal for home theater use – they are excellent for surround sound while watching movies or for listening to music via the audio receiver. The center channel speaker delivers very crisp, clear and loud audio dialogs which make watching movies a very cinema-like experience. The soundstage created by these speakers has depth and range, and you feel as though the details in the cinematic sound are very well spread out around the 5.1 channel speakers. There is a degree of three-dimensional imaging which you get with these speakers that feels almost like a 7.1 setup. Music performances on this home theater setup sounded smooth and very enjoyable to listen to – you get particularly crisp vocal reproduction that feels lifelike and natural. The bass response on the system is phenomenally deep and can be adjusted depending on your room size. At max power these speakers can literally rock your entire room with high-fidelity sound, and deliver an incredible sonic listening experience that you will not forget. We were thoroughly impressed with the dynamic audio quality of these speakers and the vocal clarity that we got while watching movies. While the satellite speakers are larger, they do produce very good and clean sound with great bass. With that in mind, do note that the satellite speakers are not wall mountable – this means that you will either have to place them on a speaker stand or ideally on a bookshelf. This might cause some inconvenience if you need less bulky satellite speakers that you can mount on a wall; we would recommend checking if your room if these speakers can fit the dimensions before purchasing. The entire home theater setup will also require a good audio receiver to power the 5.1 setup – we would recommend the Denon S510BTs to go with this setup as the sound performance from this combination is pretty solid and crisp. 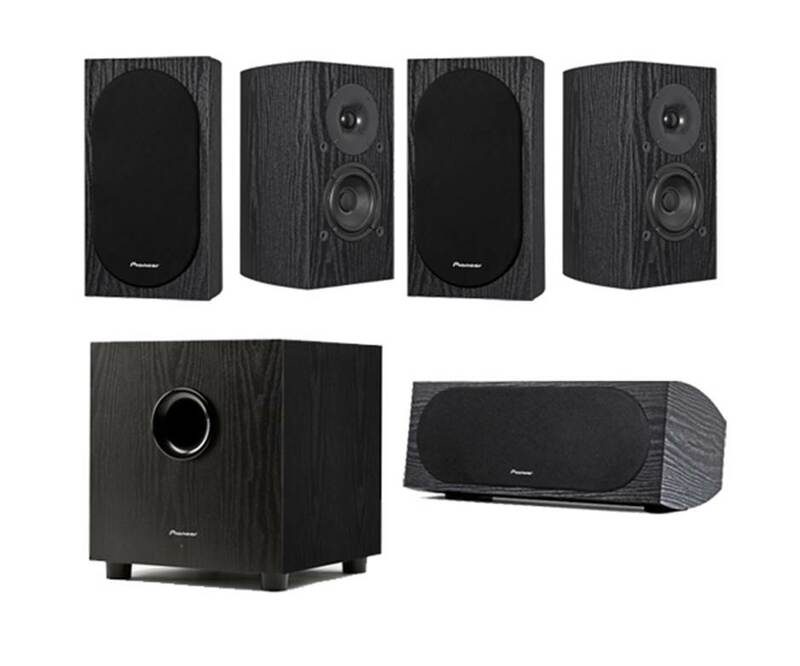 The Pioneer SP-PK22BS Andrew Jones 5.1 system is one of the best home theater systems you can get in the high end range that delivers exceptionally good sound performance. While the satellite bookshelf speakers are much large than convention satellite speakers, they do produce incredibly crisp and detailed sound, with a stunning level of bass response. The crossover design on these surround sound speakers delivers a good balance between the bass, midrange and treble which sounds smooth and very crisp. Listening to music performances on this setup felt lifelike and natural, and watching movies with these speakers was a truly enjoyable cinematic experience. While these speakers do cost more, they are definitely highly value for money and will deliver sound quality that goes way beyond the price of what you pay for. It is one of the best home theater systems that you can find, and we highly recommend them. 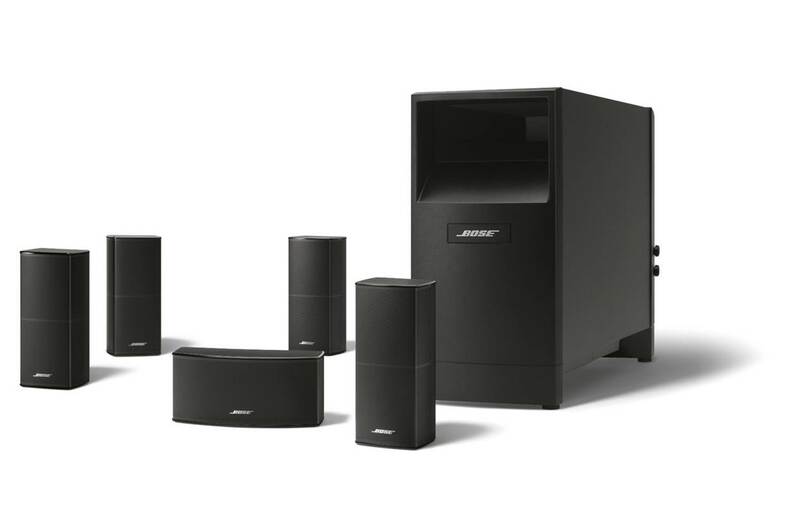 The Bose Acousticmass 10 Series V is one of the best home theater systems available for high-end use that delivers crystal clear 5.1 surround sound. While this home theater system is considerably more expensive than other home theater setups, it does deliver a stunning amount of bass and very good surround sound. The small direct/reflecting series II speakers have a much slimmer design which can be mounted flush to the wall, and can match flat-panel TVs. The Acoustimass module from Bose is designed to deliver loud and deep bass with two high-performance drivers, and can be easily hidden at a corner of your room behind a couch or curtain. The Acousticmass module also has adjustable controls for you to vary the low-frequency effects and volume. The satellite speakers need to be paired with an audio receiver which should be purchased separately – the system includes cables and connectors that are clearly marked for easy installation and setup. If you are looking for one of the best home theater systems in the high end range that will deliver incredible bass performance and don’t mind paying extra for it, the Bose Acousticmass 10 Series V is a great choice. The entire sound system is designed for high-performance surround sound – it comes with spacious five-speaker performance that produces very good surround sound. 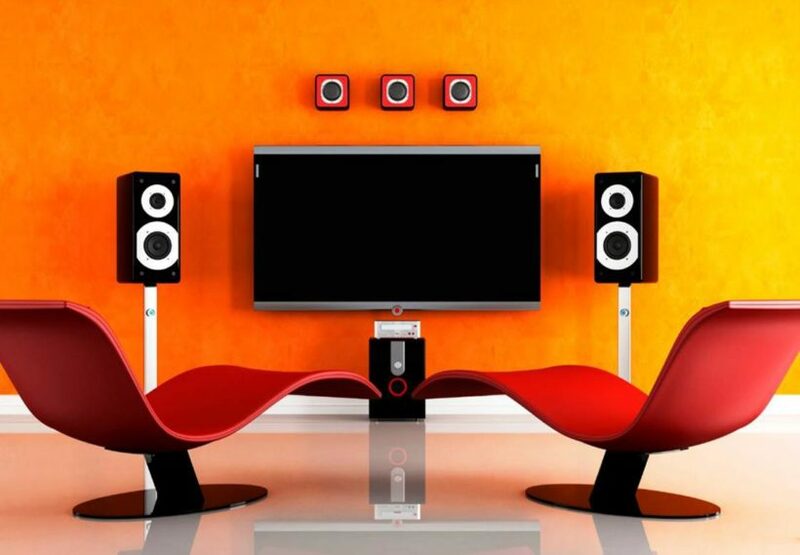 The Acousticmass 10 Series V speaker system comes with reflecting cube speakers that pair with your TV. The sound performance from the Acousticmass module is incredibly good – it is able to produce deep bass resonance and some of the lowest-end frequency response that we have ever heard. The Acousticmass module features two powerful, downward-firing drivers that deliver heavy impact that makes watching movies on this system a very fun and enjoyable experience. The satellite speakers are able to produce pure, deep sound without any distortion when cranked up to maximum volume, and provide excellent soundstage for almost any type of music genre. Watching X-Men with this home theater setup felt extremely lifelike and surreal – you could hear things in the movie that you might have never noticed before. The rear speakers make a huge difference in incorporating details and sound elements from the movie that enhance the overall cinematic experience. You really get a feel that you are in a real theater while watching movies with this Bose home theater system. The bass on the Acousticmass 10 is really something to be reckoned with. While most home theater systems do produce a decent amount of bass that feels tight and punchy, the bass on the Acousticmass 10 is on another level. You can hear defined bass with a great level of depth and rumble – the bass really feels like the kind of sound you only hear in an actual theater, and goes very low and deep with a level of solid impact. The speaker system’s signal processing is so accurate that you virtually get distortion free music at every volume level. The acoustic performance of these speakers is consistently good and well defined whether you choose to play at low volume or high volume. The satellite speakers on the Acousticmass 10 are solidly designed and somewhat heavy (which is often taken as a sign that it is a high quality product). The direct/reflecting speakers are designed to be small and compact, and can be mounted flush on the wall or installed with wall brackets. For the rear speakers we would recommend the UB-20 Series II ceiling brackets for you to adjust and tilt the rear speakers to your desired angle. The overall setup for these surround sound speakers took approximately 1-2 hours and you will have to connect the wiring from each satellite speaker to the audio receiver that supports a 5.1 channel. While there is quite a lot of wiring to do, these speakers produce great sound performance when fully setup and is definitely worth the little inconvenience. The Acousticmass 10 Series V is one of the best home theater systems you can find in the high end range that produces phenomenal bass and sound performance. The Acousticmass is capable of producing such rich and well defined bass that will literally transform your room into a mini theater – watching movies with the Acousticmass sound system is really as good as sitting in an actual movie theater. The surround sound effects that you get with this system are incredibly sharp and detailed, and you get very good sound performance from the satellite speakers which are designed to be sleek and blend in easily with home décor. We also liked the fact that the system came with connectors and wires which are clearly marked for easy installation; you will however need separate wall brackets or flush mounts if you intend to install them on your wall. When connected to your audio receiver, these surround speakers deliver a stunning sound performance that you will not forget. That being said, the Acousticmass 10 is one of the most expensive systems out there, and is more suited for those who want to invest in the best home theater system for the long haul. The Leviton AEH50-WH is one of the best home theater systems that provide good value for the price. It is a 5.1 channel system that is expandable to a 6.1 and 7.1 system with the addition of optional AESS5 satellite speakers. The system comes with an 8”, 100 Watt subwoofer and input RCA cable. The 5 satellite speakers are two-way speakers designed to produce crystal clear sound reproduction and can be mounted on ceiling or walls for optimal speaker positioning. The speakers are all video magnetic shielded which allows you to place them next to a TV screen or audio receiver without causing any static interference with the sound. Setting up the Leviton system is relatively straightforward – the satellite speakers connect directly to the audio receiver speaker terminals while the subwoofer system connects to the receiver’s subwoofer outputs. The AEH50 speakers are designed to be low-profile and ideal for rooms with a limited amount of space, giving the flexibility to place them in small corners or mount them on the wall. If you are looking for one of the best home theater systems that deliver great value for money with great sound, you should take a second look at the Leviton AEH5Os. The sound performance of the AEH50 speakers is very good, with crystal clear highs that do not sound harsh. The subwoofer feels well balanced and can easily play into the 40 Hz range. It also has good midrange and stereo imaging, which gives a sense of where the sound is coming from when watching movies. That being said, while the subwoofer does produce punchy bass, we found it somewhat lacking in movies and music. The bass is definitely present but not as powerful as other systems – if you are looking for a more balanced sound the AEH50 will definitely deliver sound performance on point. Our overall impression is that the AEH50 speakkers are best for producing full spectrum clean sound with decent soundstage, and is suitable for those who do not want overwhelming bass in cinematic sound reproduction or music performances. Vocal performances will sound really crisp on the AEH50s, as will instrumental music with a good degree of musical separation so that you can hear the subtle notes and individual instruments clearly. The AEH50 sound system was relatively easy to setup and connects intuitively to your audio receiver with speaker wires. You can also buy additional satellite speakers to expand into a 7.1 system where required. Each satellite speaker comes with a 2.5 inch woofer and a .5 inch tweeter for accurate sound reproduction, while the subwoofer is an 8”, 100 Wat sub with LFT input. The entire system also comes with 5 adjustable mounting brackets to mount your satellite speakers – we would recommend mounting 3 speakers in left, center and right order with 2 rear satellite speakers for the best surround sound experience. The speakers should be mounted at ear level for the best sound reproduction in your room, while the subwoofer should be placed between 5 to 6 inches away from the wall at a corner of your room. The satellite speakers are painted white and will easily blend into most modern home décor. The entire setup also comes with one subwoofer input RCA cable, although the speaker wires for the satellites will need to be purchased separately. The Leviton AEH50s are some of the best home theater systems you can find that provide very decent sound performance for the price. 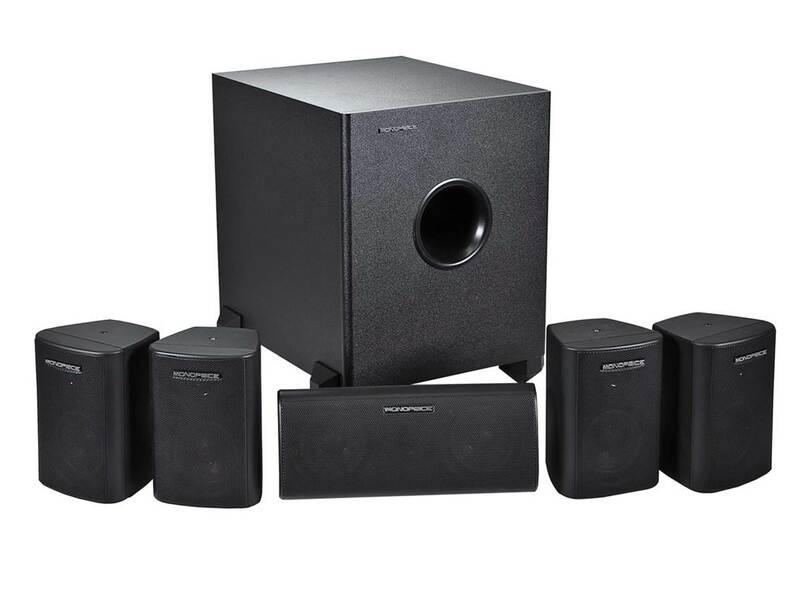 It is a full 5.1 speaker system setup that comes with a 100 Watt subwoofer, all of which connect directly to the audio receiver. The sound performance of the Levitons is well balanced and super crisp, with good midrange and decent bass. That being said, we found that the bass response was good but not the earth-shattering type – if you are looking for a cinematic system that will literally shake your room, you should consider other home theater systems. It is very good for listening to vocal and instrumental music, with a good degree of sound separation and soundstage – it has a very balanced sound, and feels smooth and crystal clear without distortion at near maximum volume. It’s a very good setup to have if you are looking for a cheaper home theater option, and definitely represents great value for money.